Popular attractions included the octopus ride, horse-o-planes and merry-go-round. Nestled between two headlands, the Coolangatta foreshore has long been acknowledged for its beauty. Following the arrival of European settlers in the region, hundreds of tents could be seen pitched on the beach front during peak holiday periods. Such large numbers of visitors led to the degradation and destruction of protected foreshore vegetation. 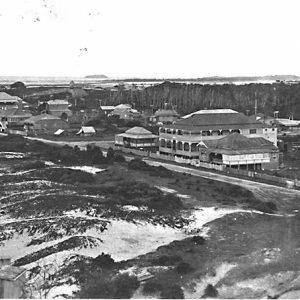 As a result dunes migrated and sand often encroached onto Marine Parade and into the growing number of properties lining the road. By the time the Hotel Grande was rebuilt in 1932, after having burnt to the ground in the preceding year, visitors would have noticed a marked difference in the appearance of Marine Parade. 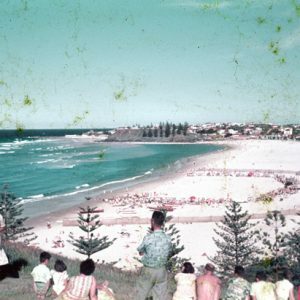 During the 1930s, the Coolangatta Town Council had undertaken a program to reclaim and beautify the foreshore by levelling and top dressing the area, planting trees, installing comfortable seating, creating a footpath and resurfacing the roadway. Mr W.C. Dobson, a local businessman, purchased a consignment of Norfolk pines from Sydney, to be planted in the refurbished park lands. At the southern end of the park is the Tweed Heads and Coolangatta Surf Life Saving Club, the first of its kind formed in Queensland. 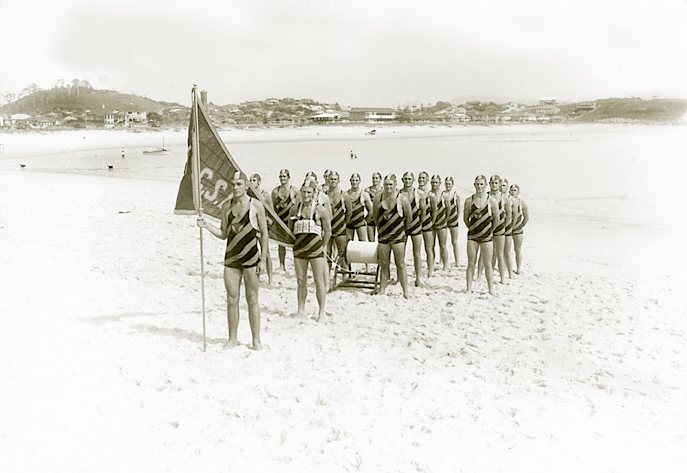 Lifesaving duties had been performed on the beach with a somewhat amateur approach since 1908. However, Sunday 21 February 1909 proved the final impetus for the formation of a club when a group of people found themselves in difficulties in the ocean and had to be rescued. 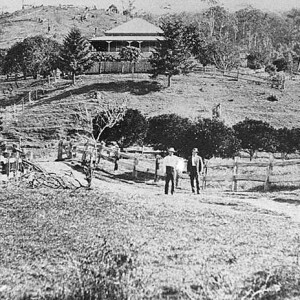 The new club continued on a somewhat unstable footing until it was re-constituted at a public meeting held at the Tweed Heads School of Arts on 13 March 1911. The first club house was a rustic timber building until a more substantial pavilion was built in 1936, one end of which was leased to the surf club. The current club house was built over and around the pavilion in 1956 and has since been altered and improved. 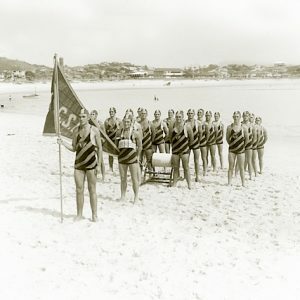 On Sunday 7 January 1934, the Governor, Sir Leslie Orme Wilson, was present when the largest number at the time of active life savers, march past teams and spectators assembled on a Queensland beach for a surf carnival. Upwards of 6000 spectators watched the Governor’s Surf Carnival from various vantage points on the beach, foreshore and surrounding hills. The program included a surf boat, canoe and chariot race, and surf rescue, resuscitation and athletic displays. The Coolangatta Council arranged for Marine Parade to be closed during the carnival and charges were levied for car parking. The event was deemed a tremendous success with attendees making a combined record donation of £98 to life saving associations. Established in 1930, 4BC was one of the first radio stations in Brisbane. 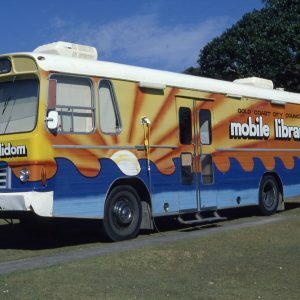 They regularly held sponsored picnics around South East Queensland to raise funds for a variety of charities. 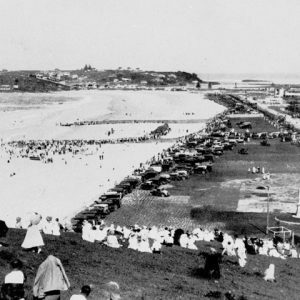 Beach picnics were held on the Coolangatta beach and foreshore in December 1935 and 1936 to aid the Bush Children’s Health Scheme. 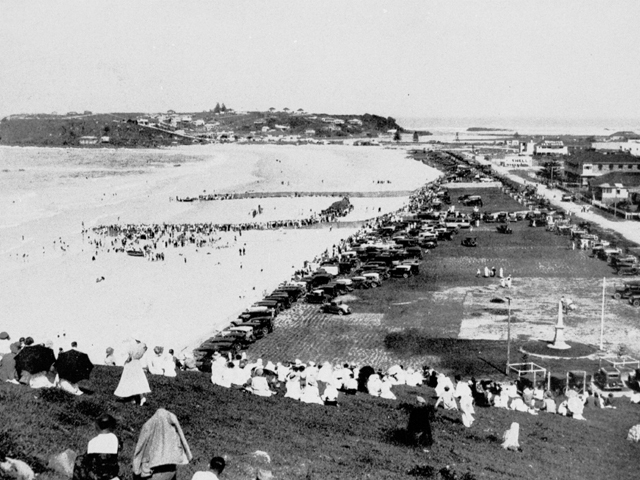 The Broadcast in 1935 coincided with the Point Danger Branch Surf Championship Carnival. 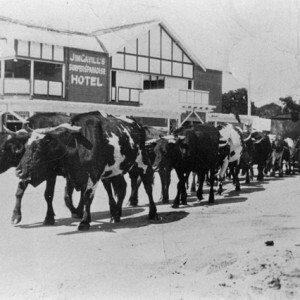 Trains were arranged to transport spectators from Brisbane and many motorists travelled from northern New South Wales to attend. Temporary refreshment kiosks were established and entertainment for the crowds included brass bands, treasure hunts, a Belle of the Beach competition and a flyover by four aeroplanes. The broadcasts continued until late in the evening. The broadcast in 1936 also included a massive fireworks display. As early as 1937, Messers A. G. and V. Wright had set up a temporary skating rink on the foreshore and in 1941 the Coolangatta Town Council granted permission to construct a more permanent rink on land on the ocean side of the retaining wall. The Coolawai Skating Rink, known locally as Wright’s Skating Rink, became a fixture on Marine Parade. The rink was located in front of the Beach House Guesthouse and offered outdoor skating on a metal floor. Crowds would skate to music played on records and amplified on loud speakers. In addition to the standard programme of activities and skating lessons offered, it was also the venue for a range of fancy dress carnivals, dances and benefits for local organisations. The rink continued to operate until May 1953. 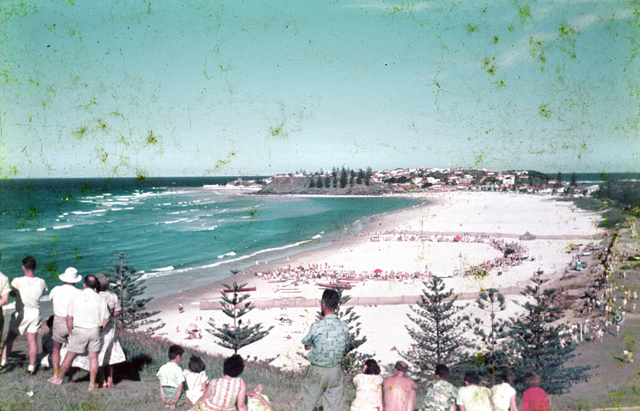 At that time expansion around Kirra Headland required that the land be reclaimed and the rink was closed. A new skating rink was then built across from Goodwin Park and operations were shifted to the new building in 1955. Other entertainment was also offered on the beach, including large groups of holiday makers performing the Hokey Pokey during the 1950s. 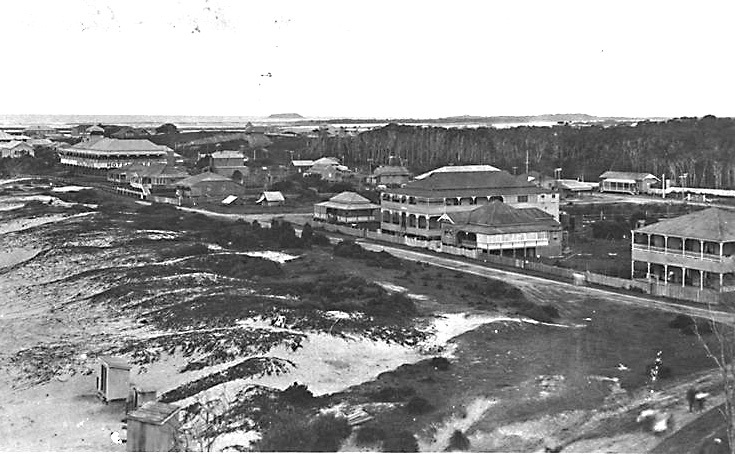 From as early as 1931, the Coolangatta Town Council had considered a permanent beachfront amusement park. 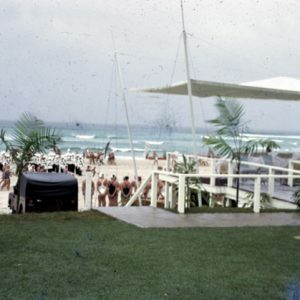 Pedro Labb, a well known showman in the region, submitted a proposal in November 1939 to the Coolangatta Town Council to obtain sole rights for the use of the foreshore to provide amusements. After agreeing to certain conditions Council offered to rent the foreshore to Labb at £10 per week. Popular attractions included the octopus ride, horse-o-planes, merry-go-round, midget train, petrol speed cars and games of skill. Special holiday events were also held such as Boxing Day wood chopping competitions and barbecues. The grounds had a festival air and were brilliantly lit of an evening. In 1941 the Coolangatta Town Council invested the £60 received in rents from the carnival on improvements to the foreshore. These included the planting of a second line of Norfolk pine trees. 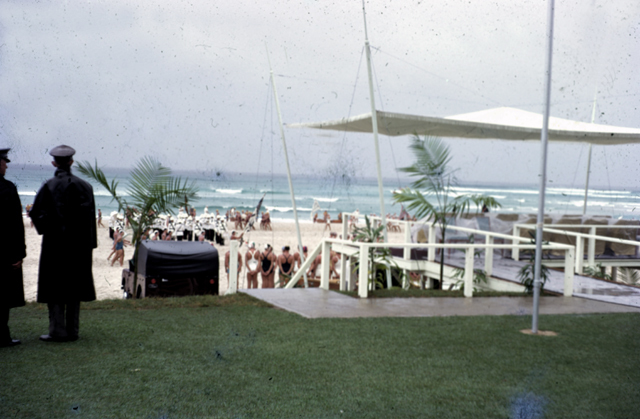 Also popular at the time was a slippery dip located on Marine Parade. In 1940 the presence of a large number of light horsemen from the Beaudesert camp and members of the militia home on leave during World War Two entertained the locals as they careered down from the top of the slide. 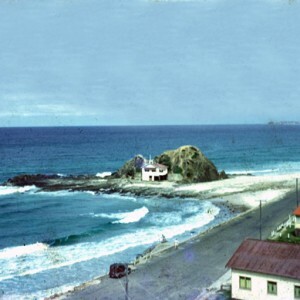 In 1957 the captain of the Tweed Heads and Coolangatta Surf Life Saving Club, Ron Westerlund, noticed a board floating close inshore at Coolangatta beach. Despite friends of the missing man declaring him a good swimmer who had in all probability gone home, Ron and the beach patrol formed a search line and moved slowly through the water. Cliff Lanham, a local pilot, was contacted to assist and subsequently located a body. This proved the catalyst to form an additional surf club to patrol the northern section of Coolangatta beach. This was confirmed on 28 November 1958 at a public meeting held in the Coolangatta Council Chambers. Donations of about £300 enabled the club to purchase two fully equipped surf reels, a double surf ski and a shark tower. 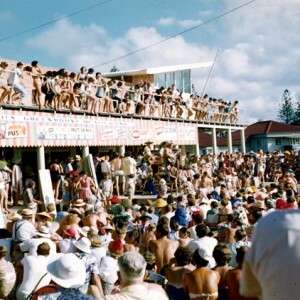 A club house was eventually built on the beach front at the northern end of the park in 1966, the same year the club hosted the Australian Championships. In the months preceding an upcoming Royal visit in 1963, thought was given as to how the event could be commemorated. 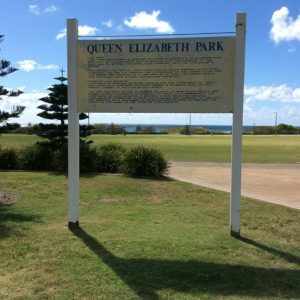 The Coolangatta Chamber of Commerce suggested that the foreshore between McLean and McDonald Streets be named after Her Majesty. The proposal was adopted by Council. It was viewed as a fitting tribute that the Royals would view the surf carnival from Queen Elizabeth Park. The arrival of Her Majesty Queen Elizabeth and the Duke of Edinburgh on a rainy day on 7 March 1963 created much excitement amongst Gold Coast residents of all ages. A Royal Surf Carnival was held on Coolangatta beach for the entertainment of their majesties. Queensland Premier Sir Francis Nicklin welcomed the couple on arrival at a covered pavilion which was constructed in the vicinity of the Coolangatta Surf Life Saving Club. Jack Winders, Queensland Surf Life Saving Association president and former Coolangatta Town Council Mayor, and Mrs Winders, former lady Mayoress and Alderman, were the Royal couple’s host and hostess for the day. Queen Elizabeth and the Duke of Edinburgh viewed a spectacular march past of over 500 men from clubs ranging from Cairns down to Yamba and were said to have enjoyed the subsequent surf carnival so much they overstayed their schedule by 20 minutes. Prince Charles visited Coolangatta on 19 October 1974 again for the purpose of meeting locals and attending a surf carnival. The Prince was flown to Coolangatta airport in an RAAF jet and was met by Sir Colin Hannah, Governor of Queensland, Mr Bjelke Petersen, Premier of Queensland and Alderman Neumann, Gold Coast Mayor. He enjoyed a barbecue lunch on Greenmount Headland beach before arriving at Coolangatta later in the afternoon to view the surf carnival. The Prince inspected and chatted with life savers in the park, watched Gold Coast Air Sea Rescue organisations stage a simulated rescue and delighted the crowd of about 6000 when he took to the sand to chat with spectators. He graciously accepted a surf ski from the Queensland Surf Life Saving Association which he intended to take with him back to Great Britain to present to the Royal Life Saving Society. 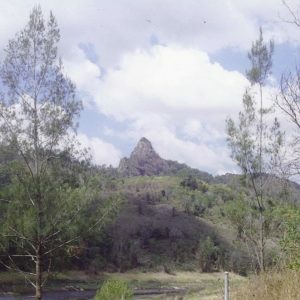 Queen Elizabeth Park is home to several commemorative structures of note. Situated at the northern end of the park is the ANZAC Memorial, which was initially relocated from its original position at the intersection of McLean and Griffiths streets to the park in 1926. The memorial has long been the focus of ANZAC Day commemorations in Coolangatta. A plaque commemorating the wreck of the schooner Coolangatta in 1846 is accompanied by a fragment from one of the first recorded shipwrecks on the Gold Coast. The wreck of this ship provided inspiration to locals when naming the town of Coolangatta. Another plaque commemorates the centenary of Coolangatta (1884-1984). Accompanying the plaque is a foundation stone from the original homestead of Alexander Berry of Coolangatta, New South Wales. Mr Berry was the owner of the shipyard from which the schooner Coolangatta sailed only to founder on rocks off the coast in 1846. 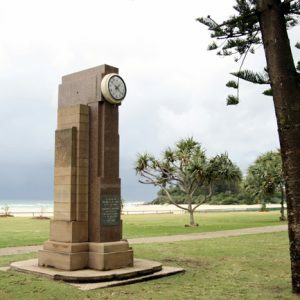 The Second World War Memorial Clock is situated in the park across from Warner Street but was previously located in front of the former Coolangatta Council offices. The memorial clock tower was presented by the Coolangatta-Tweed Heads Rotary Club to Council to commemorate the golden jubilee of the Rotary movement in 1955. 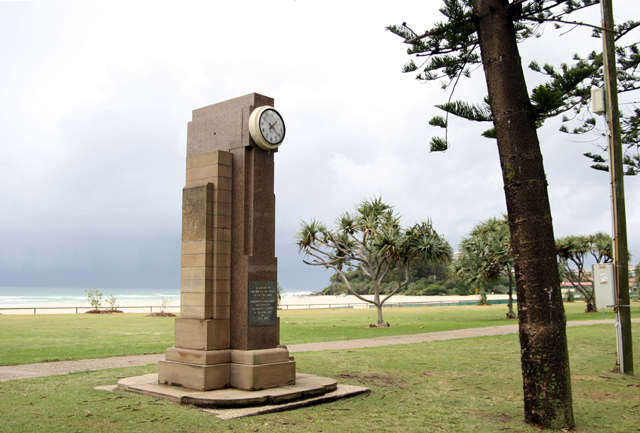 Adjacent to the clock tower is a tablet which lists memorable events associated with Coolangatta and Greenmount beach from 1840 to 1974. 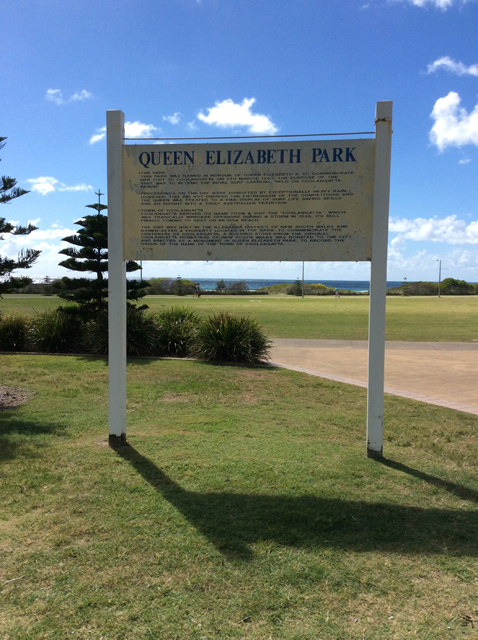 The park has been refurbished many times over the years with improvements including the installation of shelter and barbecue pavilions, boardwalks for pedestrians and cyclists, lighting, landscaping, playground equipment, park furniture, beach showers, beach access and replanting of the Norfolk pines. Queen Elizabeth Park and Coolangatta beach were the venue for the 2018 Commonwealth Games volleyball tournaments. A temporary grandstand was built in the park for spectators to view the games from the beach side courts. Winter, Peter. Seventy years on Greenmount. 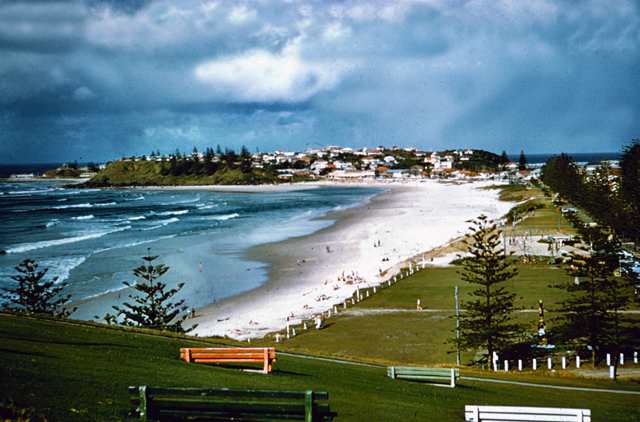 Tweed Heads: Twin Towns Printery, 1980. Park well named! (1963, March 6). The South Coast Bulletin (Southport, Qld. : 1929 – 1954), p. 3. Winter, Peter. Lookback. Volume 9: tales of yesteryear with Peter Winter. 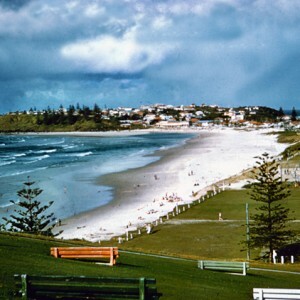 Tweed Heads West, N.S.W. : Tweed River Historical Society, 2008. Charles gets James Bond Rating (1974, October 22). The Gold Coast Bulletin (Southport QLD. ), p. 2.